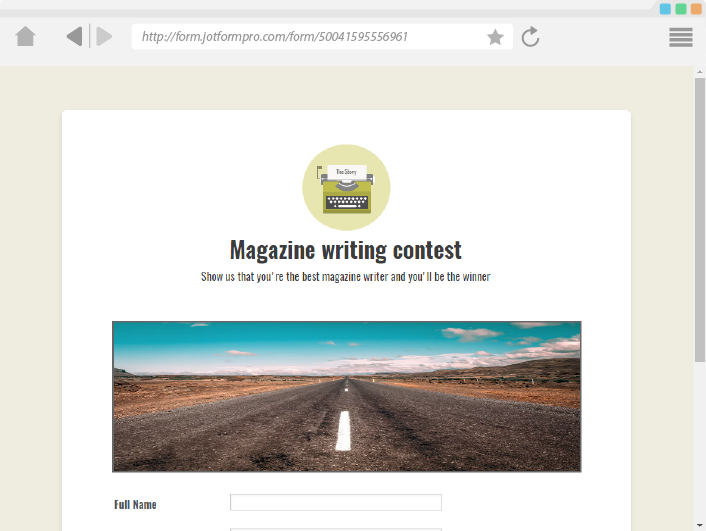 Almost every website has a banner, a headline image, or an illustration that delivers a message, a notification or the main intention of the website. 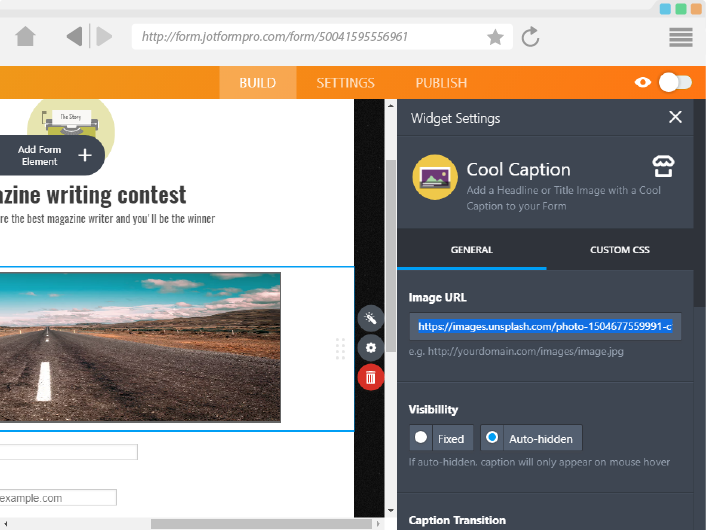 Using images as captions is a very common practice that has lots of benefits; You can leverage the same capability on your form with Cool Caption. 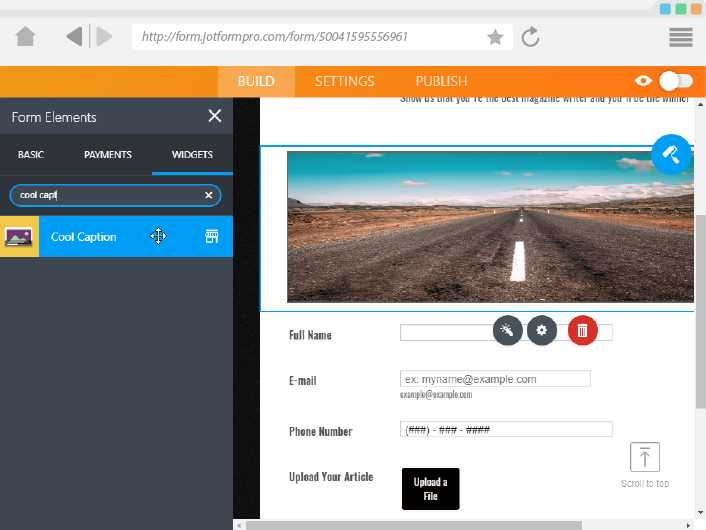 This widget allows you to add a headline, banner or caption image to your form. You can then add a Caption that will highlight the image message in a few words. The Caption has a cool, translucent background, giving it a modern, cool appeal. You can also animate the caption, which will show when the mouse cursor is placed over the image.